Plans to build the B6 Venator are back on track, Spyker says. 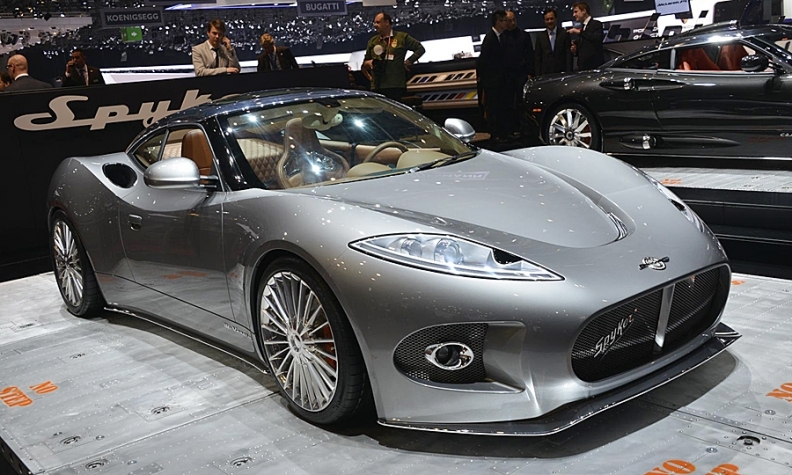 Dutch supercar maker Spyker won its appeal against being placed in bankruptcy by a court late last year. Spyker CEO Victor Muller said he now intends to push ahead with development of the company's B6 Venator, an entry-level luxury sports car, and to merge with a U.S. based manufacturer of high performance electric aircraft. Spyker has been struggling to survive financial setbacks since its ill-fated acquisition of Saab from General Motors in 2010. Spyker was placed in bankruptcy on Dec. 18 by a Dutch court after bridging finance promised while it was under creditor protection failed to arrive. Spyker got the money 11 days later and appealed the court’s bankruptcy declaration. A Dutch appeals court on Thursday declared the bankruptcy "null and void with retrospective effect." This puts the company back under the protection of the "moratorium of payment" – equivalent to U.S. Chapter 11 protection from its creditors. Muller said that the company has now reached agreement with the majority of its creditors. As a result "we should see Spyker exit 'moratorium of payment' in a matter of weeks," he said in a statement. Spyker hopes the B6 Venator, a mid-engined 375-hp V6 sports car unveiled at the 2013 Geneva auto show, will attract more customers. The model is intended to compete with such cars as the Porsche 911 and Lotus Evora. When it was first revealed there were suggestions it would be priced around 160,000 euros. That is about 40,000 euro less than the 198,500-euro 2014 European list price of Spyker's 4.2-liter C8 Aileron sports car. Muller is keen to pursue a merger with a U.S. based specialist aircraft manufacturer once Spyker comes out from the "moratorium of payment." The logic for this, according to Muller, is that "the exciting new sustainable and disruptive technologies" currently being developed by the as yet unnamed company will be of value in future "full electric" Spyker cars.